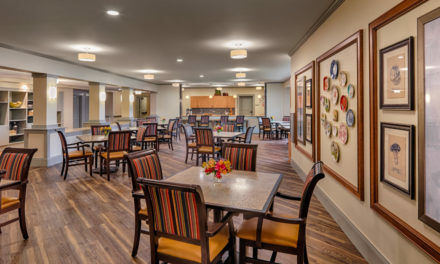 With the latest in Senior Living dining, you can transform your community and engage your residents. 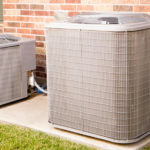 This guide outlines up-and-coming trends, all of which put residents first. 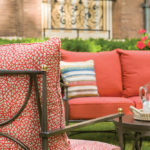 Whether you choose to revamp your dining room service or add attractive new features, like grab-and-go cafés or restaurant-style buffets, your residents are sure to appreciate these on-trend updates. Shake up the regular routine with a more casual take on dining and entertaining. 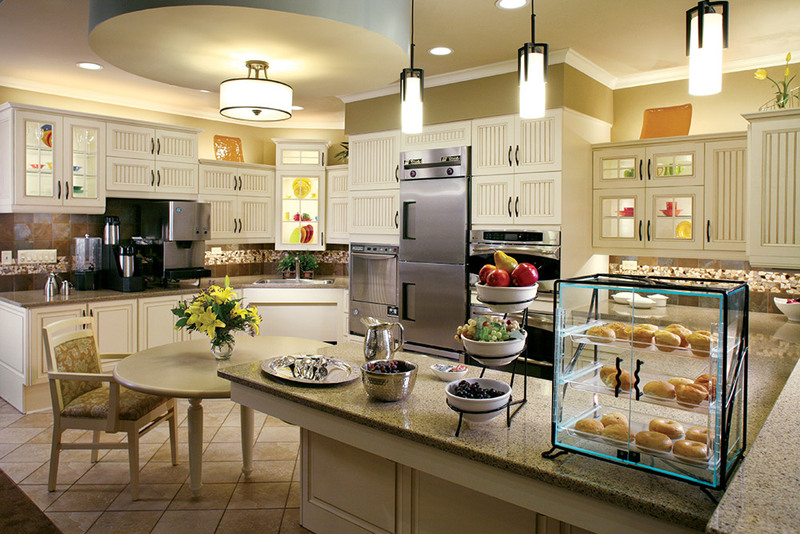 Consider adding bistros where residents and guests can select meal and snack options on their own time. 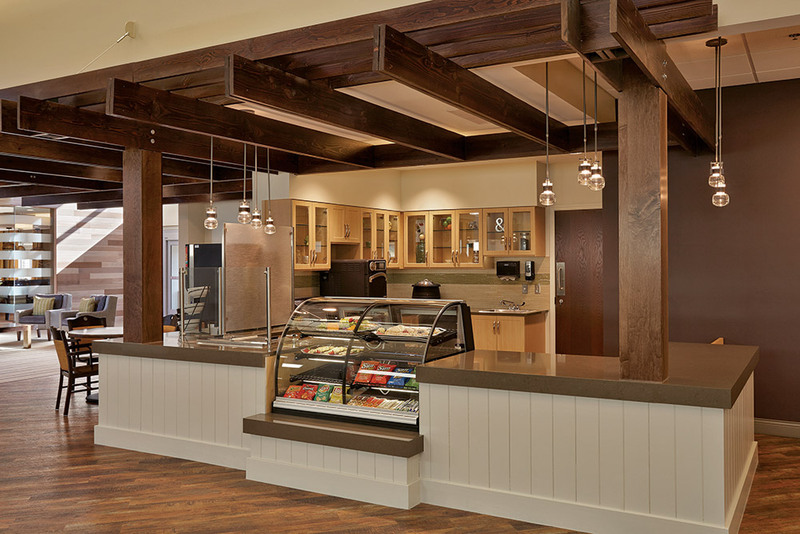 With additional menu options and flexible hours, these grab-and-go cafés allow more independence. Convertible bistro carts are a great option for communities with multiuse spaces. A compact cart can accommodate snacks and beverages during the day, and can easily be converted into a casual bar in the evenings. Satellite kitchens are an attractive option for communities looking to create an atmosphere where residents feel at home. These spaces, which are separate from the primary kitchen, are designed to create an engaging atmosphere for residents. 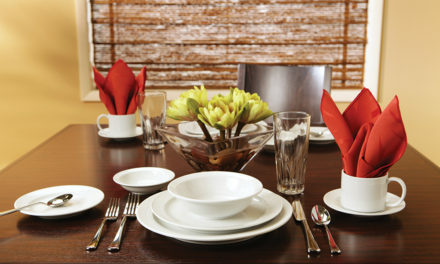 Private dining areas are a welcome addition for residents celebrating a special occasion or entertaining guests. These smaller spaces create a restaurant-style environment, complete with comfortable seating, elegant dinnerware and even leather-bound menus. 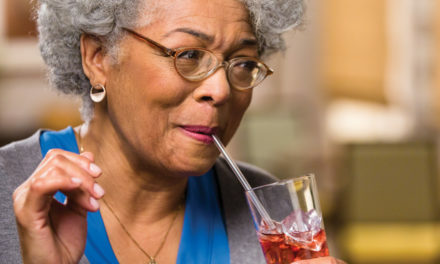 Whether it’s the centerpiece of your dining program or used to supplement daily meals, hospitality-style buffet service allows seniors to choose what they enjoy. 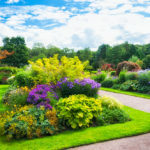 Best of all, there are buffet options to suit any community. 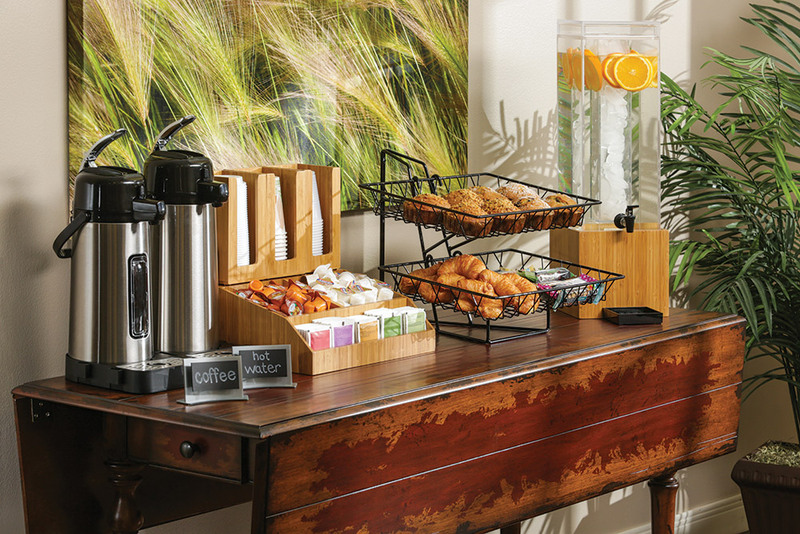 Small, informal buffets can be set up to provide continental breakfast service, while a flexible display can easily be transformed to serve other snacks and beverages throughout the day. 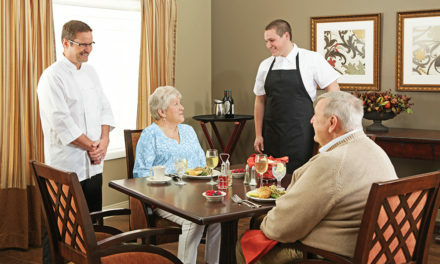 Allow residents to choose their meals with tableside service. 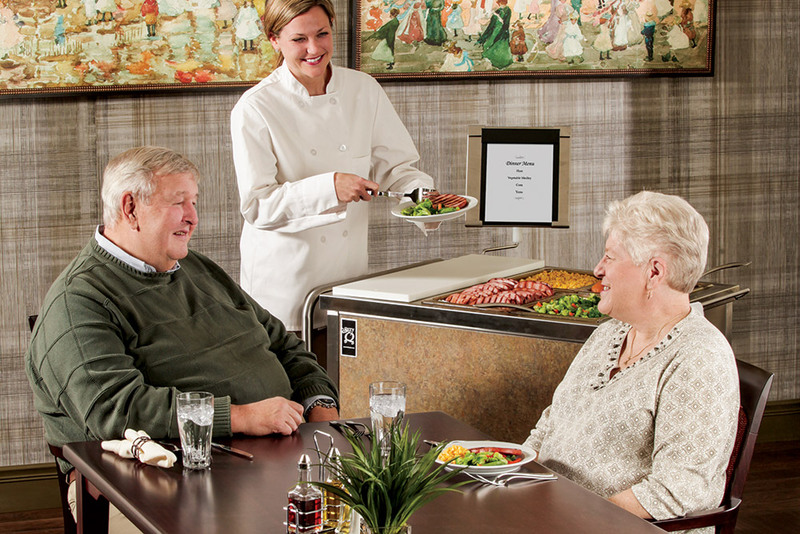 With mobile carts that move easily through the dining room, staff can have meaningful exchanges with residents as they serve. 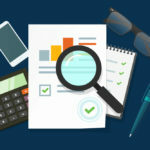 This service style provides seniors with the satisfaction of choice, customizable serving sizes and positive interactions while reducing food waste and costs. Simple additions, like a welcome station near the entryway, can make your community feel more inviting. 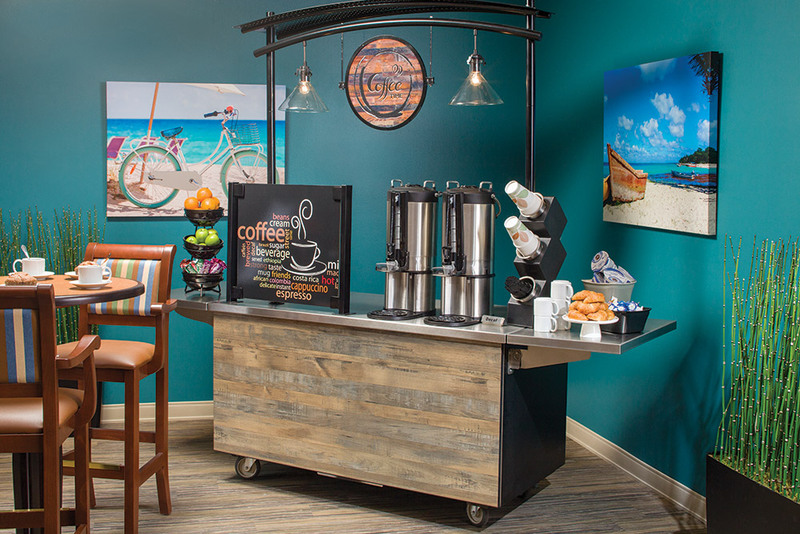 A credenza stocked with coffee, tea and water in addition to small snacks is the perfect first impression for visitors and a wonderful amenity for residents. 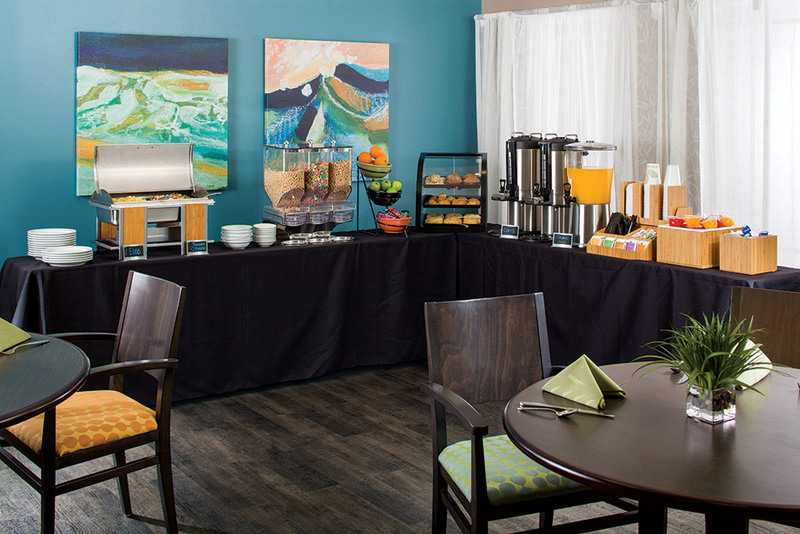 Take the hospitality feel one step further with lush accommodations, like a bar. This lounge-like atmosphere provides residents with an inviting place to relax and socialize. 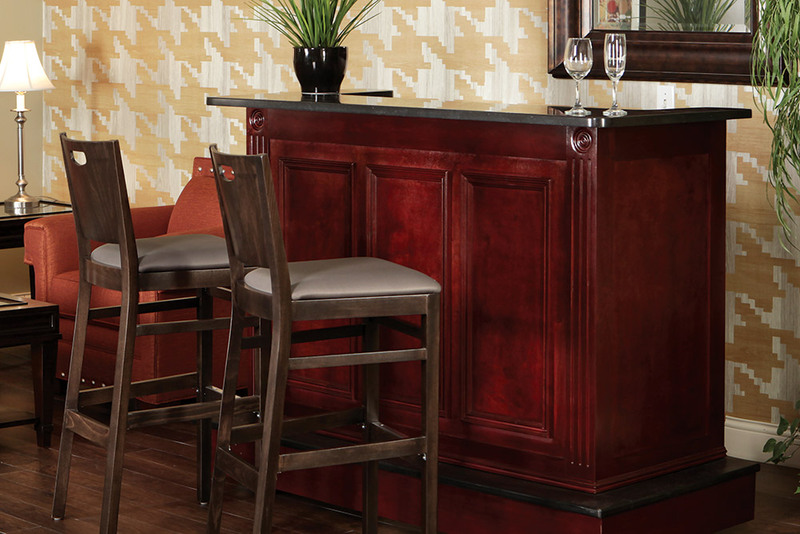 Set the stage with upscale furnishings, like a beautiful paneled bar, comfortable seating and sturdy barstools. 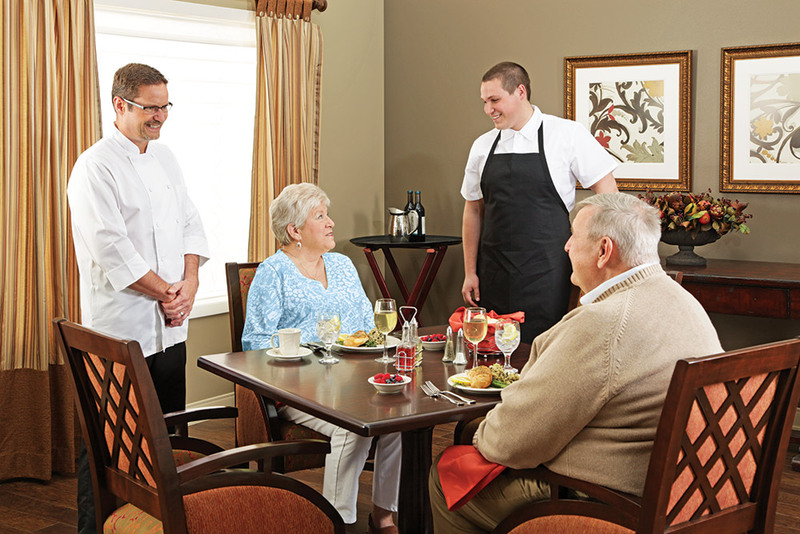 Meet the unique needs of your rehabilitation residents with in-room dining. This hotel-inspired service allows them to order at their convenience while enjoying meals in the comfort of their own space. With specialty equipment, like compact carts and delivery systems, as well as elegant dinnerware and napery, you can transform the simplest dishes into an experience to be savored.